A payable on death account, or POD account for short, is a special type of bank account that is recognized under U.S. state law. POD accounts can be set up for checking accounts, savings accounts, money markets, and certificates of deposit as well as U.S. savings bonds. A POD account allows for the money remaining in the account when the account owner dies to pass to directly to the beneficiaries named by the account owner. 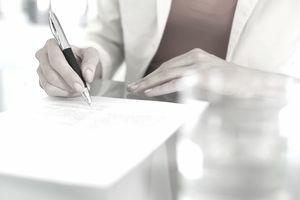 It will happen outside of probate, and in general, all that the beneficiaries of the POD account will have to do to gain control of the account after the owner dies is to show the bank manager an original death certificate for the owner. The money remaining in the POD account will then be paid to the beneficiaries named by the account owner in the beneficiary designation form on file with the bank. It is important to understand that the bank account will pass to the POD beneficiaries even if the POD account owner had a last will and testament or revocable living trust and regardless of what the will or trust says. While the owner of the POD account is alive, the beneficiaries named by the owner to receive the money left in the account after the owner dies will not have any access to or control over the POD account, only the owner will have access to and control over the money held in the account. Also, the owner can change the beneficiaries of the POD account at any time while the owner is still alive and competent to make changes to the account. POD accounts do not have to be established by only one person. Two, three or even more people can have access to a POD account while any one of the owners is still alive, and then when the last owner dies the money remaining in the POD account will be paid to the beneficiaries named by the last surviving owner. The POD account owner does not have to leave the account equally if more than 1 beneficiary is named. Instead, if more than one beneficiary is named by the POD account owner to receive the assets remaining in the account after the owner dies, then the beneficiaries will receive the balance of the account in the proportions specified by the owner in the beneficiary designation form. If a beneficiary named by the POD account owner predeceases the owner, then the money remaining in the account will be paid equally to the surviving beneficiaries. For example, if the owner names four beneficiaries and one of the named beneficiaries predeceases the owner, and the owner does not make any changes to the account beneficiary designation, then the money remaining in the account when the owner dies will be paid equally to the three surviving beneficiaries. But what will happen if the owner only names one beneficiary and he or she predeceases the account owner and the owner never changes the beneficiary designation? Then the money remaining in the POD account will become a part of the account owner's probate assets. Aside from POD bank accounts and savings bonds, some states recognize payable on death, transfer on death, or beneficiary deeds.